Fast-forward 40 years or so. The world moves faster and is more complex than Kindergarten. Choosing a CMS for your church or organization can seem overwhelming. Today, there are over 110 different CMS solutions on the market, and finding the one that is “Just Right” seems more complicated than ever. But be encouraged! You already know what you need to pick out the right CMS for you. You learned it in Kindergarten. The story of Goldilocks and the three bears comes to mind. This innocent sweet girl was looking for just the right porridge and most comfortable bed. She had three choices, and in each case she picked the option that was “just right”. From this I learned two things. First, don’t settle for the first thing you try. Second, be willing to try a few things before making a decision. Goldilocks did not get caught up in listening to people tell her which porridge or which bed was the best. She took the time to find out for herself. As a result, she ended up being rested and satisfied. 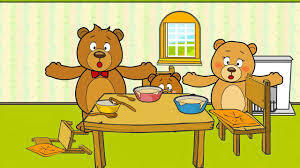 Just like Goldilocks, don’t trust everything you see, hear or read about CMS products. Invest a little time before making your decision. Here are two things to avoid doing when choosing a CMS. Don’t trust features lists, charts or web reviews- Software companies develop their products according to what features the market says it wants. Unfortunately, just because a product has a feature checked off its list, doesn’t mean that that product feature is actually effective in its application. Just because something says it has online giving, if that giving option is tedious and filled with bugs, then both your givers and administrators will hate it. Furthermore, most web review sites are more concerned with generating web traffic, or doing backdoor selling for their affiliates than they are about you getting the right software. Many user review sites have reviews that are posted by employees or friends of the CMS company, or users that don’t have the experience to actually be able to do apples to apples comparisons. (If I’ve never driven a corvette or any other car, then I may give the Ford Pinto a pretty decent review.) Use features lists, charts and web reviews as precursory industry knowledge, but put little stock in the ratings themselves. Don’t trust marketing videos or YouTube product overviews- It takes thousands of hours of development and hundreds of thousands (even millions) of dollars to create amazing software with fantastic support. Many companies create a sub-par or underdeveloped product that checks off lots of features. Then they invest $100K+ for professionally created marketing videos that make their product look like the best thing since Rib Eye Steak, even though the product itself is just processed ground beef. Remember, everything that glitters is not gold. A lot of CMS marketing videos amount high priced glitter. I would rather have my CMS company put that 100K into product development, than into marketing videos that are designed to generate positive emotions toward their product. Use marketing videos as precursory research, but don’t make your decisions based on them. Keep in mind that product feature lists, web review sites, and marketing videos do have their place in the CMS selection process. And they do reveal a lot about the culture and nature of the company. I use them to create my own check list of what it promises. Then I use the 5 DO’s to determine if it can deliver on it’s promises BEFORE I purchase it. In part 2, I will discuss the 5 DO’s of selecting a CMS for your organization. Then I use the 5 DO’s to determine if it can deliver on it’s promises BEFORE I purchase it. In part 2, I will discuss I will talk about these. Note: I have evaluated numerous CMS’s, from the high-end products such as Arena and Fellowship One, to very small mom & pop products. I have ran the criteria of parts 1 & 2 of this blog, along with other criteria, on over 50 of the top rated CMS products available. The only CMS that consistently landed in the top 3 was Churchteams. This is one CMS product you cannot go wrong with in terms of value, support, functionality, communication, future development, responsibility and all criteria mentioned in part 1 & 2 of this blog. Dollar for dollar, impact for impact, you simply cannot beat their product. It will allow your church to grow exponentially, while continuing to grow with you. 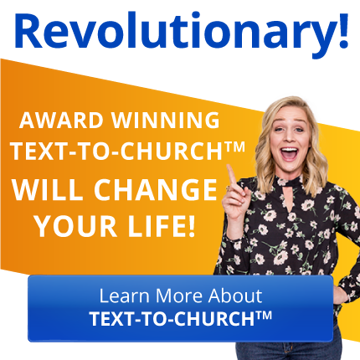 As an encouragement for all the things they have been doing right through the years, I have given permission for ChurchTeams to use this review. I am not receiving anything in return. If you are looking for a great apples to apples place to start, ChurchTeams is it!